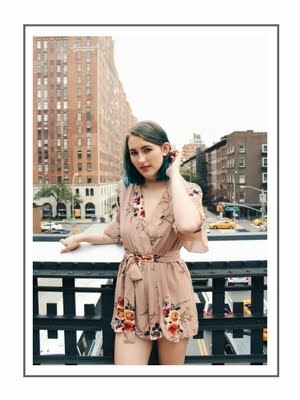 I'd been looking for a long-sleeved black romper exactly like this for almost a year when I encountered this gem at a Crossroads. 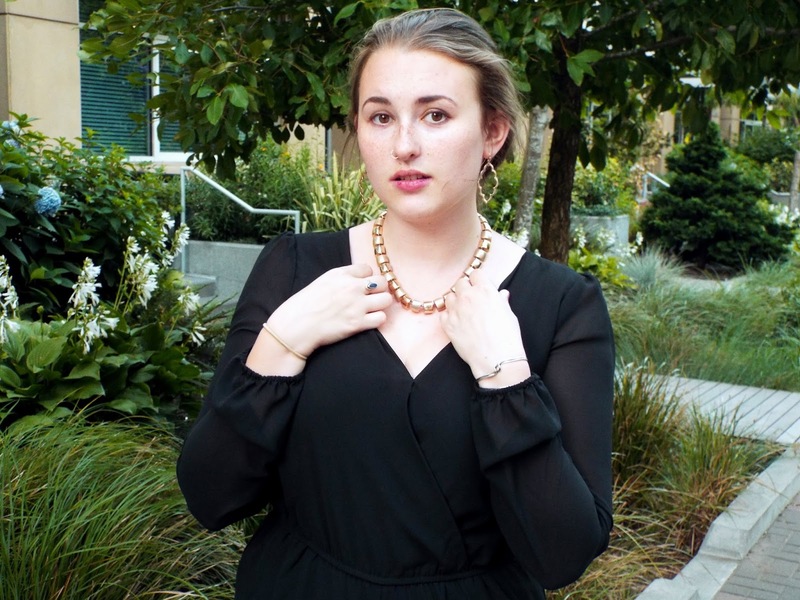 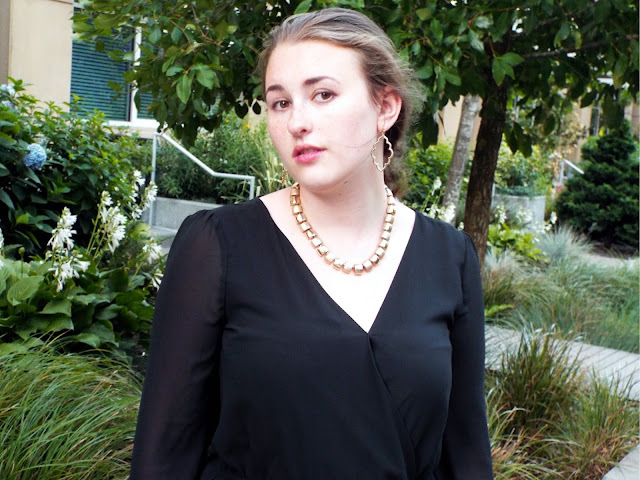 It's the perfect thing to wear to show off some accessories, like this gold necklace. 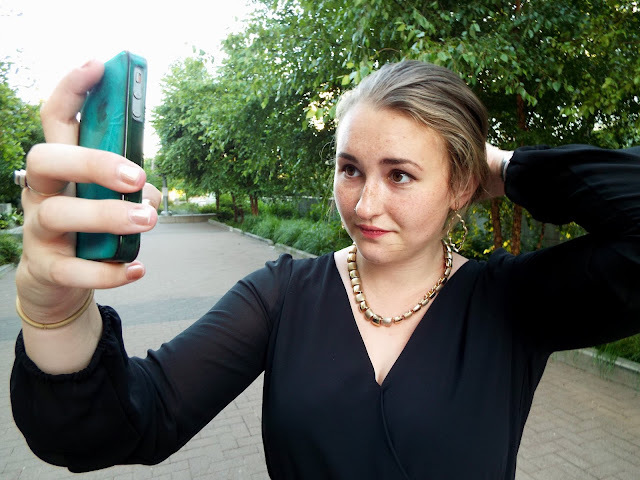 Also: this is what every OOTD shoot looks like behind the scenes: me taking selfies.